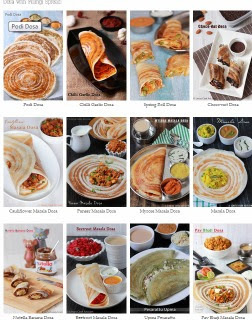 I had started a paratha marathon earlier and all were vegetarian version of the parathas. So I planned to add a non veg parathato the collection. So here comes the chicken paratha recipe. You can make this with minced chicken or fresh boneless chicken / frozen chicken breasts. About the taste you need nothing to eat with this. Even a pickle or curd is not needed. So tasty to eat as such. I felt it is a real treat to my taste buds andI believe you too would feel the same after making these parathas. Perfectly suits for lazy week end meal. Easy to make treat for people those who love chicken. 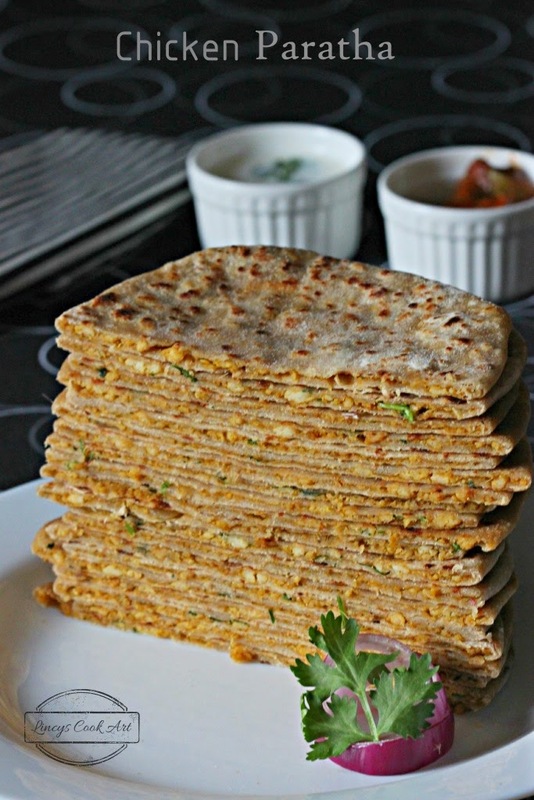 I am sure you are going to love these parathas. If you donot get chicken kheema you can follow this procedure. Take the chicken breast and cut it into small pieces. In a blender jar add the pieces and pulse it twice or thrice. It resembles a paste but do not worry If small pieces found also will get cooked and mashed later on; set aside. Heat oil in a pan add onion and a pinch of salt. Cook for thirty seconds add ginger garlic paste and cook for fifteen seconds till the raw smell leaves. Add ground chicken, turmeric powder, chilli powder and coriander powder, garam masala powder and salt; mix and cook well by constant stirring. Chicken starts to cook and resembles scrambled eggs. Initially it looks dry. Once the chicken get cooked the moisture from the chicken comes out and wet the mixture. So donot add any water. Once the mixture get cooked(around 5- 7 minutes) add the chopped coriander leaves and switch off the gas. Allow the mixture to cool. Once it cools down using your fingers break the chicken lumps into fine crumbles.Then make them in to 9-10 lemon sized balls. To make parathas, take the Whole wheat flour in a bowl and add salt and oil. Dry mix and then pour the water and mix well to make a dough. Transfer the dough into a flat surface and knead for five minutes to get a soft pliable dough. Rest this dough covered for further 5 to 10 minutes to soften the dough. Divide the dough into 9-10 lemon sized balls. On a floured surface spread the ball into a small disc. Keep one of the chicken stuffing inside and gather the edges and press well to seal well. Using fingers flatten the balls and dust them in flour and spread them in to thin parathas. Heat a pan and sprinkle half a teaspoon of oil and cook both sides of the parathas till golden brown spots starts to appear. Note: If you use chicken Kheema(minced chiken) directly add once the onion and ginger garlic get cooked.